This page contains links to pdf diagrams of designs made from message notes. The art of creating this kind of design is, of course, to somehow incorporate use of the sticky strip in the design. 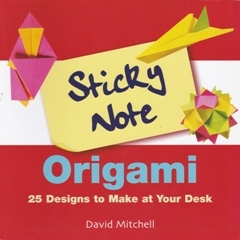 Many of my other message note designs are published in my book Sticky Note Origami.